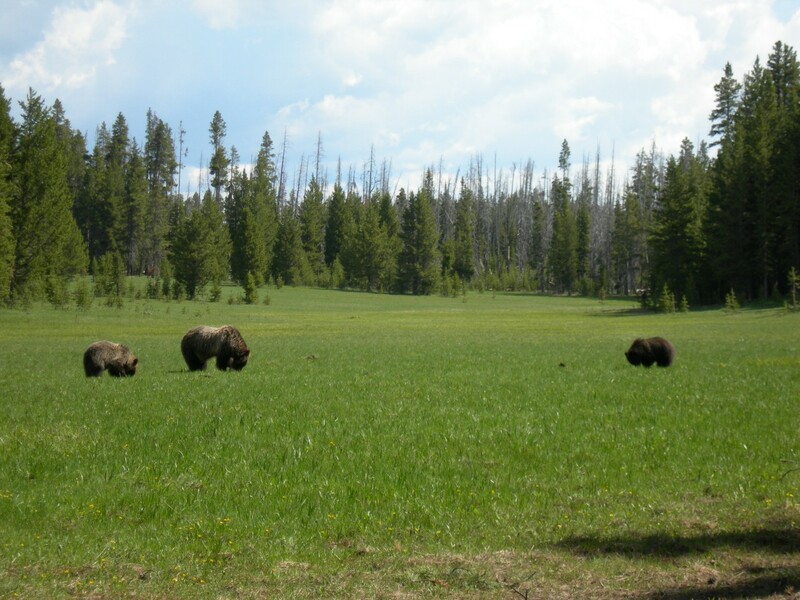 Yellowstone, Episode Two, in which Your Faithful Blogger and her Equally Faithful Spouse view a Really Great Geyser! It was obvious that we would have to follow up the incredible Ursine Encounter with an adventure at least equally exciting. 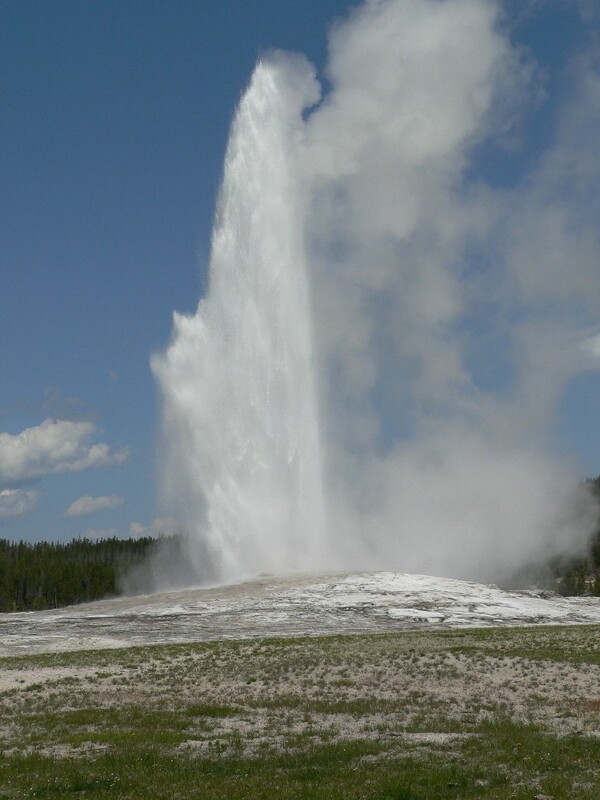 So where else could we go except to Old Faithful? Ergo, we followed the signs to the eponymous geothermal phenomenon, and the first thing we encountered was…a mass of vehicles. Hundreds of them: everything from compact cars to RV’s the size of hotels. There was lots of parking, but nothing close in, so we parked – somewhere; I’m not sure where! – and walked over to the site, where we encountered… a mass of people. Hundreds of them. From all over the U.S., all over the world, really. A Tower of Babel patiently awaiting the Eruption. “Every time you hit the ‘record’ button, that thing calms down again. Next time, say you’re going to hit the button, but don’t actually do it. 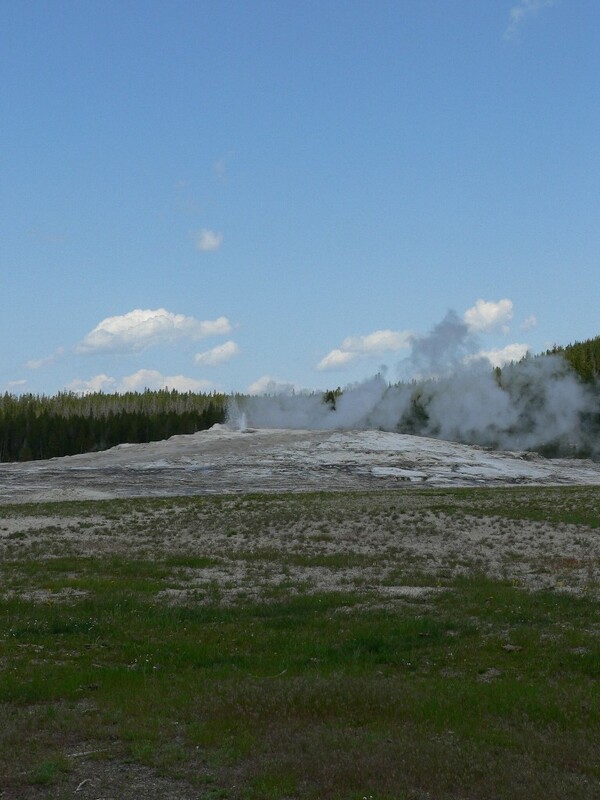 So, was it faintly corny to be standing amid a mass of humanity gazing out at Old Faithful? Yes. Was it at the same time thrilling and exhilarating? Absolutely! This was something I had been hearing about since I was a kid – and seeing pictures of, and even reading parodies of. But standing there, at that moment, I felt downright patriotic: we really know how to put on a geothermal spectacular, right here in the U.S. of A.! 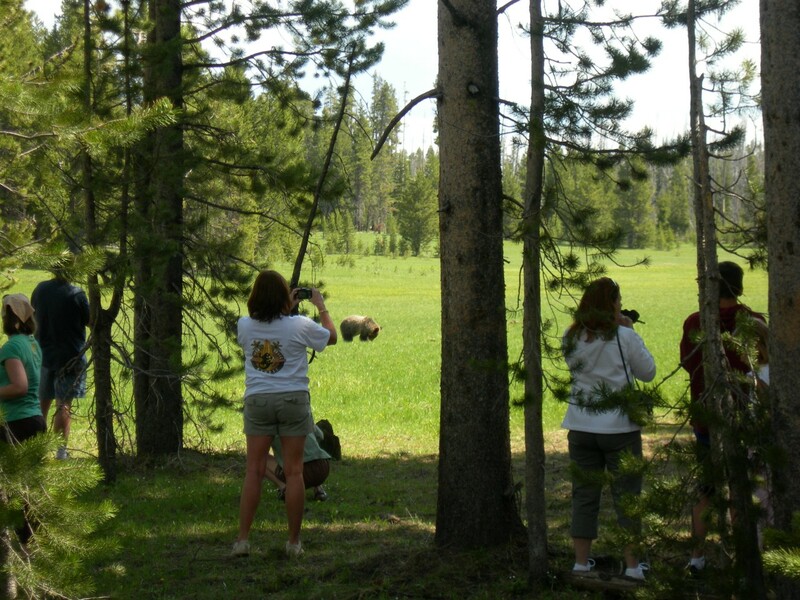 Our Yellowstone excursion began with a couple of surprises. First, as we drove north through the Tetons, it began to rain. Oh, grand, thought I, it probably rains about twice a year in these parts and of course, today…But wait! Shortly before we reached the Park’s South Entrance, the rain abated, then stopped altogether. A good omen, we concluded, though at the time we didn’t know just how good! A bear! No – a bear and two cubs. 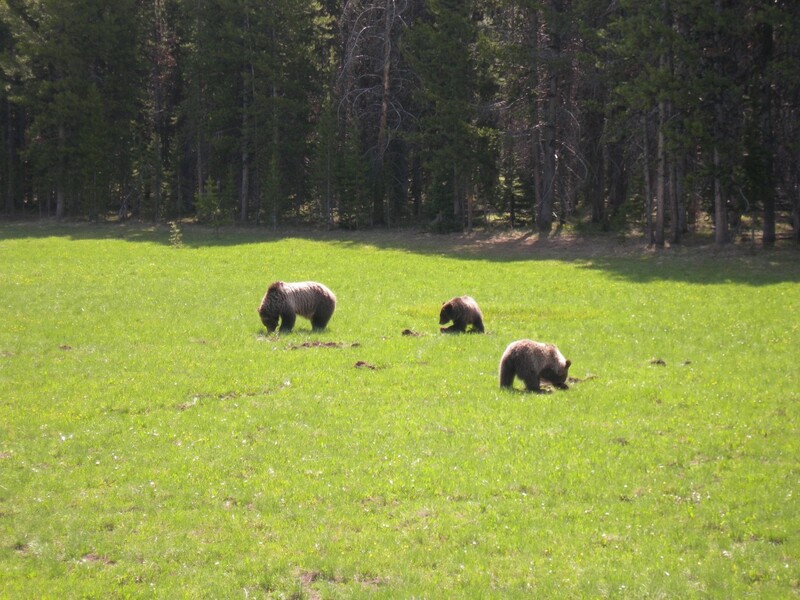 Let’s see – that makes three bears…yes..THREE GRIZZLY BEARS!! IN THE WILD! !